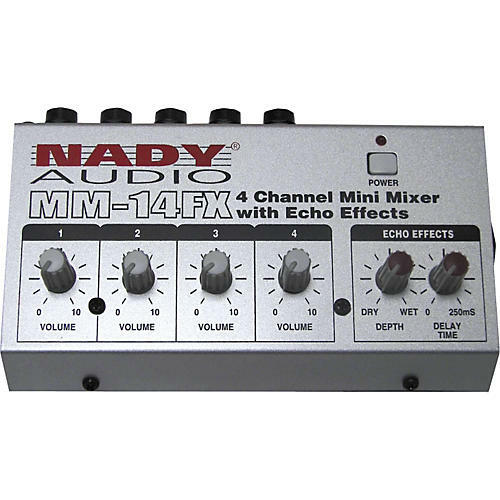 This mini line mixer is complete with echo effects, delay time and depth controls, and has up to 50dB of gain per channel. It has four 1/4" mono inputs with individual volume controls and a 1/4" unbalanced output. Products identified as a "Blem" or "Refurb" carry a 90-day warranty.